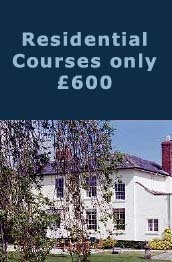 These prices are for our standard 20 hour course, but we can also arrange 10, 15, 30 and 40 hour courses. 20 Hours Intensive (AUTO) Please call for a quote. Choosing a reputable school for your course. Our courses are taught to the very highest standard, whilst also offering extremely good value and all our courses are provided on a 1:1 basis by full time intensive course instructors. Our goal is to make sure all who take an intensive course with us pass first time, we are a local school with a first class reputation for excellent instruction and service. Check that all training is on a 1:1 basis, what is advertised as 30 hours of training may actually turn out to be just 15 hours of driving experience as you may have to share your instructor with another pupil. ...All of our lessons are 1:1 training. Be wary of schools offering unrealistically high pass rates. If a school is promising a 90% rate, you should ask them to provide evidence to back this up and ask them what time period this was over. ...Our recent passes and pass rates are shown on the recent passes page. A test might be advertised as including the price of the driving test, however what isn't made clear is that If you are not ready for your test the school will not allow you to use their car for your test, and you may not be offered a refund if you do not take the test. ...We will not book your test as part of an intensive course unless we are are sure you can be ready within the times arranged. Many instructors advertise intensive courses, but will actually only offer as many lessons as they have available to fit around their existing timetable. This means your course will be spreadout, unorganised and not always at times that will suit you. ...With sufficient notice we will be able to book your lessons at any time you wish during your intensive week. Some schools offer a "test pass guarantee", where they agree to pay half of your next test fee (around £30) should you fail your first attempt. This doesn't seem so attractive if you have to take an additional 10 hours of lessons with that instructor before taking your second test, because you weren't trained to a good standard in the first place. ...The majority of our students pass first time, make sure you choose a reputable school! !